Outdoor enthusiasts will love the natural landscapes, stunning waterfalls, indigenous wildlife and numerous bird species that make Belize’s Mayflower Bocawina National Park a Central American destination. 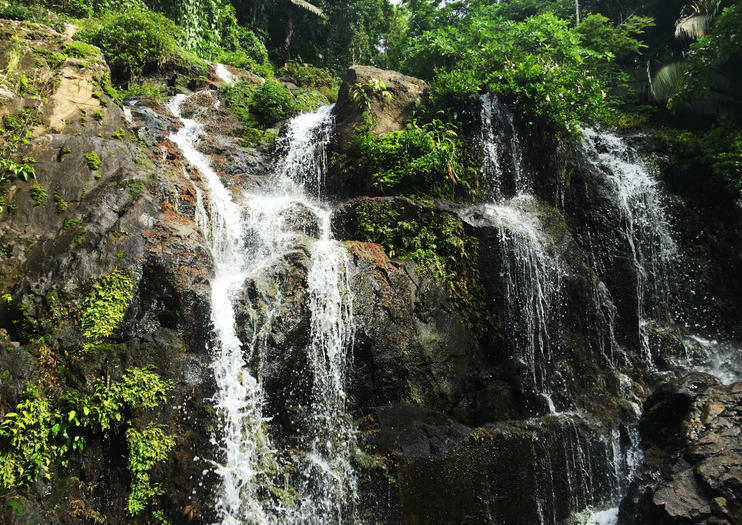 Visitors to this tropical gem can navigate well-marked trails through dense forests in search of rare and colorful birds or take a dip in one of the swimming holes filled with clear blue waters from rushing falls. Mayflower Bocawina is also home to a handful of ancient Mayan ruins, including Mayflower Plaza and the Maintzunun temple mound, making it a perfect stop for history lovers. The park offers plenty of opportunities to explore the outdoors and travelers will find several well-kept camping areas throughout Mayflower. Those who prefer a touch of luxury over truly roughing it can find accommodation just beyond the park in Placencia, Hopkins and Dangriga. The park is located in the Stann Creek District of Belize, off a mile six of the Southern Highway. Entrance fee is $10 BZ ($5 US) per person. Head to Bocawina, home to Belize’s longest zipline. Extending 2 ½ miles across the Mayflower Bocawina National Park, you can observe the rain forest from a bird’s eye view along with rappelling down waterfalls. Head to Bocawina, home to Belize’s longest zipline. Extending 2 ½ miles across the Mayflower Bocawina National Park, you can observe the rain forest from a bird’s eye view.